“Now concerning the ministering to the saints, it is superfluous for me to write to you” (2 Corinthians 9:1). Although 2 Corinthians chapter nine is one of the shortest chapters in this Biblical letter, it carries more impact than its brevity might suggest. You see, this portion of Scripture represents the second installment of a two-part discussion on the subject of financial giving. That discussion began in 2 Corinthians chapter eight and continues into chapter nine in two distinct parts. The opening five verses of 2 Corinthians chapter nine deal with the motivational efforts that Paul the Apostle used to encourage the Corinthians to follow through on their commitments. The second portion covers verses six through fifteen. Those verses provide us with a number of important insights that should direct our approach to financial giving. “But before I come, I must go down to Jerusalem to take a gift to the Jewish Christians there. For you see, the Christians in Macedonia and Achaia have taken up an offering for those in Jerusalem who are going through such hard times. They were very glad to do this, for they feel that they owe a real debt to the Jerusalem Christians. Why? Because the news about Christ came to these Gentiles from the church in Jerusalem. And since they received this wonderful spiritual gift of the Gospel from there, they feel that the least they can do in return is to give some material aid” (Romans 15:25-27 TLB). These passages from Romans and 2 Corinthians are linked by their geographic references. Since Corinth was the leading city of Achaia and the Macedonians are mentioned several times within 2 Corinthians chapters eight and nine, this undoubtedly means that the passage from Romans quoted above refers to the very same offering that Paul will go on to discuss over the course of this chapter. “Now concerning the ministering to the saints, it is superfluous for me to write to you; for I know your willingness, about which I boast of you to the Macedonians, that Achaia was ready a year ago; and your zeal has stirred up the majority” (2 Corinthians 9:1-2). The word “superfluous” is not a word that is widely used today. 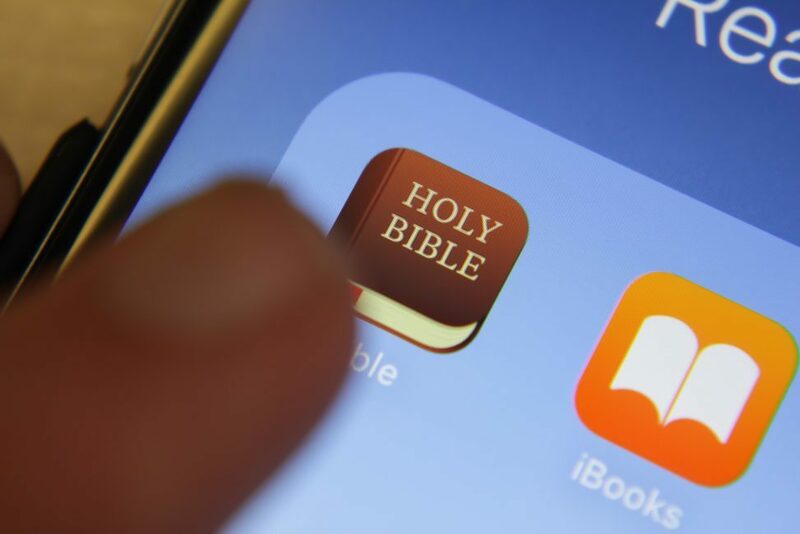 It communicates the idea of something that goes beyond what is required and is rendered unnecessary (CSB) or redundant (MEV) in other translations of the Scriptures. Since the members of the Corinthian church had already pledged their financial support for the Christians in the region of Judea, this may explain why Paul the Apostle felt no further need to discuss the topic. “It was quite unnecessary for Paul to write to the Corinthians concerning the subject of sending financial help to needy saints—yet he proceeded to do so anyway. Perhaps there is a trace of irony in this verse. Actually, in some respects it was not necessary for him to write to them. They had shown a willingness from the outset to participate in the collection for Jerusalem. So it seems clear that Paul engaged in a motivational effort to encourage the Corinthians to move forward in fulfilling their financial commitments by saying, “I boast of you to the Macedonians.” However, we can also say that Paul was not seeking to establish a competition between these regional churches. Instead, this boast is best seen as an expression of something we read in the New Testament book of Hebrews: “…let us consider how we may spur one another on toward love and good deeds” (Hebrews 10:24 NIV). We should also remember that it was the Corinthians’ commitment to support this relief effort that inspired the Macedonian churches to get involved. If the Corinthians failed to follow through on that promise, it would have reflected poorly upon them. In addition, others might have accused Paul of fundraising under false pretenses since the Macedonians were motivated to act by his boast of Corinth’s support. Given Paul’s disdain for those who sought to peddle the word of God for profit, this was something he surely wished to avoid. “Yet I have sent the brethren, lest our boasting of you should be in vain in this respect, that, as I said, you may be ready; lest if some Macedonians come with me and find you unprepared, we (not to mention you!) should be ashamed of this confident boasting” (2 Corinthians 9:3-4). When it came to his discussions with the members of the Corinthian church, Paul the Apostle employed several rhetorical tools that were designed to encourage them to act in a God-honoring manner. This included the importance of leading by example (2 Corinthians 8:24), the negative repercussions associated with continuing sin (2 Corinthians 13:1-4), and the prospect of public humiliation (as we see in the passage quoted above). So which assessment is more accurate? Well, Paul was simply practicing what he preached to the Corinthians. Remember that Paul has repeatedly expressed his love for the Corinthian Christians throughout his Biblical letters to them- and just as he said earlier, “If you love someone, you will be loyal to him no matter what the cost. You will always believe in him, always expect the best of him, and always stand your ground in defending him” (1 Corinthians 13:4-7 TLB). Paul’s love for the Corinthians prevented him from being inherently suspicious of their commitment to support this relief effort. But now that a year had passed with no subsequent response, he made certain to act to ensure they made good on their promise. (1) Life Application Study Bible, 2 Corinthians 9:1-2 Copyright © 1988, 1989, 1991, 1993, 1996, 2004 by Tyndale House Publishers Inc., all rights reserved. Life Application® is a registered trademark of Tyndale House Publishers, Inc.
(2) Hindson, E. E., & Kroll, W. M. (Eds.). (1994). KJV Bible Commentary (p. 2357). Nashville: Thomas Nelson. “Therefore I thought it necessary to exhort the brethren to go to you ahead of time, and prepare your generous gift beforehand, which you had previously promised, that it may be ready as a matter of generosity and not as a grudging obligation” (2 Corinthians 9:5). “Trust, but verify” is a proverb that former U.S. President Ronald Reagan often cited as he engaged in international negotiations. In just three words, that maxim expressed a fundamental sense of goodwill but also established the need to ensure that each side made good on its commitments. In a similar manner, Paul the Apostle employed a “trust, but verify” approach with the members of the Corinthian church to help ensure they followed through on their promised financial support for the churches of Judea. “When 67-year-old carpenter Russell Herman died in 1994, his will included a staggering set of bequests. Included in his plan for distribution was more than two billion dollars for the City of East St. Louis, another billion and a half for the State of Illinois, two and a half billion for the national forest system, and to top off the list, Herman left six trillion dollars to the government to help pay off the national debt. With this in mind, we can say that the Corinthians’ commitment to support the struggling churches of Judea was certainly admirable, But much like the carpenter who promised to bestow a multitude of assets that didn’t exist, their promise to help was essentially meaningless unless they were prepared to act upon it. In his effort to encourage the Corinthian church to assist their brothers and sisters in need, Paul the Apostle returned to an agricultural illustration here in 2 Corinthians 9:6. The idea is behind this illustration is simple: giving to others is much like sowing, or the act of planting seed. If you sow a lot, you’ll receive a lot. If you distribute sparingly, you won’t reap very much. Unfortunately, its possible to apply this principle in an inappropriate manner. While it is true that God blesses those who put Him first in the area of finance (see Malachi 3:8-12), one should never approach giving with a “stock market” mentality. In other words, we should never seek to invest in a ministry effort with the goal of receiving a greater financial return on that investment. “One gives freely, yet grows all the richer; another withholds what he should give, and only suffers want. Whoever brings blessing will be enriched, and one who waters will himself be watered” (Proverbs 11:23-25 ESV). “Giving help to the poor is like loaning money to the Lord. He will pay you back for your kindness” (Proverbs 19:16-18 ERV). “Whoever is generous will be blessed because he has shared his food with the poor” (Proverbs 22:9 GW). “Give, and it will be given to you. A good measure, pressed down, shaken together and running over, will be poured into your lap. For with the measure you use, it will be measured to you” (Luke 6:38 NIV). “If anyone has ears to hear, let him listen. And he said to them, ‘Pay attention to what you hear. By the measure you use, it will be measured to you—and more will be added to you. For whoever has, more will be given to him, and whoever does not have, even what he has will be taken away from him'” (Mark 4:23-25 CSB). “Remember that the person who plants few seeds will have a small crop; the one who plants many seeds will have a large crop” (2 Corinthians 9:6 GNB). Wuest’s rendering of 2 Corinthians 9:6 draws our attention to an important nuance that should influence our view of this passage: “…he who sows sparingly shall also reap sparingly, and he who sows in a beneficent, generous spirit, with a view to the blessing of the recipient, shall also reap blessings given in a beneficent, generous manner” (emphasis added). This translation uncovers an important motivation for financial giving: an opportunity to bless the recipient. This distinction is one that can aid us in evaluating various fundraising appeals. For instance, it is not uncommon for religious organizations to refer to 2 Corinthians 9:6 in attempting to raise financial support. However, we should view such fundraising requests with suspicion if they imply that God is somehow compelled to provide the giver with a multiplied financial return on his or her gift. Unfortunately, this financial solicitation was clearly designed to entice potential supporters with the prospect of a greater financial return rather than stimulate a heartfelt desire to support God’s work. Instead, Jesus taught us to adopt a far more appropriate mindset: “…when you do a charitable deed, do not let your left hand know what your right hand is doing, that your charitable deed may be in secret; and your Father who sees in secret will Himself reward you openly” (Matthew 6:3-4). (1) The New Testament: An Expanded Translation Kenneth S. Wuest Copyright © 1961 by Wm. B. Eerdmans Publishing Co.
“Remember this: The person who sows sparingly will also reap sparingly, and the person who sows generously will also reap generously” (2 Corinthians 9:6 HCSB). Paul the Apostle was fond of referring to agricultural illustrations in his Biblical letters to the Corinthian church. For instance, he wrote the following in his first Biblical letter to the church at Corinth: “I planted, Apollos watered, but God gave the increase. So then neither he who plants is anything, nor he who waters, but God who gives the increase. Now he who plants and he who waters are one, and each one will receive his own reward according to his own labor” (1 Corinthians 3:6-8). Later, Paul went on to say, “…it is written in the Law of Moses: ‘Do not muzzle an ox while it is treading out the grain.’ Is it about oxen that God is concerned? Surely he says this for us, doesn’t he? Yes, this was written for us, because whoever plows and threshes should be able to do so in the hope of sharing in the harvest” (1 Corinthians 9:8-10 NIV). He also made use of a similar analogy in 1 Corinthians 15 to illustrate the resurrection of the dead. Here in 2 Corinthians 9:6, Paul returned to this metaphor to illustrate an important spiritual concept. The idea is that a farmer must commit to “giving away” the valuable seed he or she possesses in order to receive a crop. The farmer could choose to keep this valuable resource and maintain a precious (but limited) asset. But if the seed is “given away” by the act of sowing, it immediately leaves the farmer’s possession and direct control. In a sense, we face a similar choice with regard to our financial resources. When it comes to sowing the seed of our financial offerings, the question is this: how much do we value the limited amount of seed we possess? Are we willing to “sow” it in a prayerful, responsible manner to bless others? If so, the crop produced by that seed will not return the same amount that was sown. Instead, it will produce many times as much as was planted. (1) Life Application Study Bible NIV 2 Corinthians 9:6-8 Copyright © 1988, 1989, 1991, 1993, 1996, 2004 by Tyndale House Publishers Inc., all rights reserved. And God is able to make all grace abound to you, so that in all things at all times, having all that you need, you will abound in every good work” (2 Corinthians 9:6-7 NIV). The Old Testament book of Ecclesiastes contains a verse that intersects with the New Testament illustration quoted above: “Cast your bread upon the waters, For you will find it after many days” (Ecclesiastes 11:1). While it’s possible to interpret this passage as a reference to the importance of investing with a long-term profit in mind, there is another possibility that involves our attitude in helping those who may need assistance. Much like the act of casting a piece of bread upon the water, it may seem foolish to deposit our precious resources with those who have little or no ability to pay us back or provide any return on our investment. In such instances, it may seem wiser to retain our financial assets rather than put them at risk. However, this portion of Scripture also goes on to say that those who cast their bread upon the waters, “…will find it again after many days” (GW). The only way to realistically offer such an assurance is to assume that a greater Entity is willing to ensure the profitability of those investments- and the Old Testament book of Proverbs identifies that Entity for us: “He who is kind to the poor lends to the Lord, and he will repay him for his deed” (Proverbs 19:17 RSV). These insights often help to determine if we view ourselves as owners or managers of the resources we possess. For those who take an ownership view of their resources, good risk management often represents the overriding priority. However, the person who views him or herself as a manager of their God-given resources understands the importance of faithfulness in risking those assets and counts upon God to establish the level of return on his or her investment. “So let each one give as he purposes in his heart, not grudgingly or of necessity; for God loves a cheerful giver. And God is able to make all grace abound toward you, that you, always having all sufficiency in all things, may have an abundance for every good work” (2 Corinthians 9:7-8 NIV). There are fifty words contained within the passage quoted above and two of them may benefit from a closer examination. The first word is “purposes,” a word that implies a willful determination, a premeditated action, an explicit decision, or the specific intent to engage in a particular action. The second is “heart.” This word refers to our innermost being in a spiritual, emotional, or physical sense. Taken together within this passage, these words tell us that genuine Biblical giving should not be impulsive, reckless, or capricious. Instead, we should prayerfully and purposefully evaluate our financial offerings and give accordingly. The phrase, “let each one give as he purposes in his heart…” also implies that we are individually responsible for deciding what we should give, not another person or ministry. (N)ot grudgingly. Its interesting to note that one definition of the word “grudgingly” in the original language of this passage is “annoyance.” (1) This is important to remember, especially in those instances where we may be tempted to give simply because we want the person who is soliciting our financial support to stop. While that approach may be successful (at least until he or she returns to solicit more funds), it does not correspond with genuine, Biblical giving. Instead, that response is more of a business decision- we are essentially paying someone to stop annoying us with their financial requests. (O)f necessity. Viewers or listeners to various media ministries are surely familiar with the following appeal: “This ministry cannot continue without your financial support.” While there is an element of truth in that statement, its not that a ministry cannot continue without our support- the reality is that a ministry cannot continue without God’s support. Finally, we’re told that “God loves a cheerful giver,” an attitude that should reflect our appreciation for what God is doing through a particular ministry. “Each of you should give what you have decided in your heart to give, not reluctantly or under compulsion, for God loves a cheerful giver. And God is able to bless you abundantly, so that in all things at all times, having all that you need, you will abound in every good work” (2 Corinthians 9:7-8 NIV). This passage reminds us that our internal motivations are important to God, especially in the area of financial giving. You see, there are many different motives that may lead someone to support a ministry or individual. For example, some may give out of a sense of obligation. Others may be pressured or manipulated into giving. Some may give to flaunt their generosity while others may give in an attempt to gain God’s favor. Unfortunately, these internal motivations do not fit the parameters given to us here in the latter portion of 2 Corinthians chapter eight. We can look to the examples of five Biblical personalities (three negative and two positive) to illustrate the difference. First we have the experience of a couple named Ananias and Sapphira in the New Testament book of Acts. Acts 5:1-2 tells us. “…there was a man named Ananias (with his wife Sapphira) who sold some property and brought only part of the money, claiming it was the full price. (His wife had agreed to this deception)” (TLB). So these individuals were pretending to “give it all to Jesus” while deliberately holding back from Him at the same time. We also have the example of a man named Simon in the book of Acts. Simon was someone who offered to pay the Apostles for access to the spiritual power they possessed. That offer prompted the following response from the Apostle Peter: “…May your money be destroyed with you for thinking God’s gift can be bought! You can have no part in this, for your heart is not right with God” (Acts 8:20-21 NLT). On a more positive note, we have the Biblical examples of Zacchaeus (a man who decided to put God ahead of his money in Luke 19:1-10), and the poor widow of Mark 12:41-44. Her sacrificial offering drew praise from Jesus when He said, “Truly this widow has given a greater gift than any other contribution. All the others gave a little out of their great abundance, but this poor woman has given God everything she has” (Voice). (1) Coffman, James Burton. “Commentary on 2 Corinthians 9:10”. “Coffman Commentaries on the Old and New Testament”. https://www.studylight.org/commentaries/bcc/2-corinthians-9.html. Abilene Christian University Press, Abilene, Texas, USA. 1983-1999. Then he ordered, ‘Take the money from this servant, and give it to the one with the ten bags of silver. To those who use well what they are given, even more will be given, and they will have an abundance. But from those who do nothing, even what little they have will be taken away'” (NLT). “As it is written: ‘He has dispersed abroad, He has given to the poor; His righteousness endures forever’” (2 Corinthians 9:9). Paul the Apostle included many Old Testament references within his Biblical letters to the church at Corinth. 2 Corinthians 9:9 provides us with another example as Paul sought to establish a Scriptural basis for his teaching on the subject of financial giving. In this instance, he alluded to Psalm 112:9 to illustrate the eternal benefit that accrues to God’s people as they seek to help those in need. “Now may He who supplies seed to the sower, and bread for food, supply and multiply the seed you have sown and increase the fruits of your righteousness, while you are enriched in everything for all liberality, which causes thanksgiving through us to God” (2 Corinthians 9:10-11). “Whoever is faithful with little is also faithful with much, and the one who is dishonest with little is also dishonest with much. If you haven’t been faithful with worldly wealth, who will trust you with true riches? If you haven’t been faithful with someone else’s property, who will give you your own? No household servant can serve two masters. Either you will hate the one and love the other, or you will be loyal to the one and have contempt for the other. You cannot serve God and wealth” (Luke 16:10-13 CEB). (1) Sproul, R. C. (Ed.). (2015). The Reformation Study Bible: English Standard Version (2015 Edition) (p. 2062). Orlando, FL: Reformation Trust. “For the administration of this service not only supplies the needs of the saints, but also is abounding through many thanksgivings to God, while, through the proof of this ministry, they glorify God for the obedience of your confession to the gospel of Christ, and for your liberal sharing with them and all men, and by their prayer for you, who long for you because of the exceeding grace of God in you” (2 Corinthians 9:12-14). The simple act of helping others may secure a benefit that extends far beyond those who are directly involved. Much like the ripple effect created by the act of casting a stone into a pool of water, the charitable actions of God’s people may produce an impact that extends beyond their origin. The first and most obvious effect involves the person who benefits from such help. However, 2 Corinthians 9:12-14 identifies a secondary benefit as well. To borrow an agricultural analogy, the person who gives of his or her resources also produces a harvest of thanksgiving to God and prompts others to pray on his or her behalf. It seems appropriate for Paul the Apostle to end this portion of his letter to the Corinthian church by associating the gift for the churches of Judea with the One who is the ultimate Giver of all gifts. Although Paul does not identify the “indescribable gift” he mentions in this verse, there could only be one such offering: God’s gift of His Son. The New Testament book of 1 John tells us, “Here is how God showed his love among us: God sent his only Son into the world, so that through him we might have life” (1 John 4:9 CJB). For Paul, there were no words to describe such a gift- and much like the example of a young child who emulates his or her parents, we continue in the footsteps of our heavenly Father when follow His good example in giving to others. However, there will be a decided change in Paul’s tone as we enter 2 Corinthians chapter ten. In the final four chapters of this epistle, Paul will turn to address those within the church at Corinth who continued to challenge his apostolic leadership and undermine his authority. Since it is often impossible to lead, teach, or help those who are unduly critical, ungracious, or disrespectful, Paul will forcefully engage with these so-called “super-apostles” (11:5) in an effort to protect the congregation from their false teachings. This will lead to a direct and aggressive confrontation that serves to remind us that we may sometimes be called upon to challenge those who are disobedient (10:6), deceitful (11:13), unrepentant (12:21), or sinful (13:2).